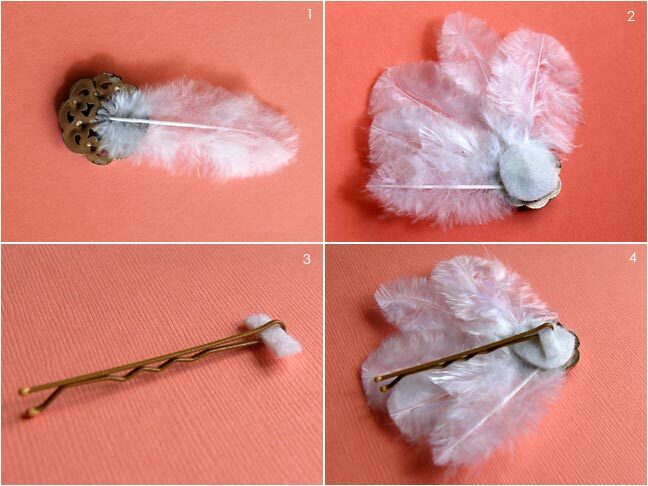 Tickle your fancy by making this feather button bobby pin. 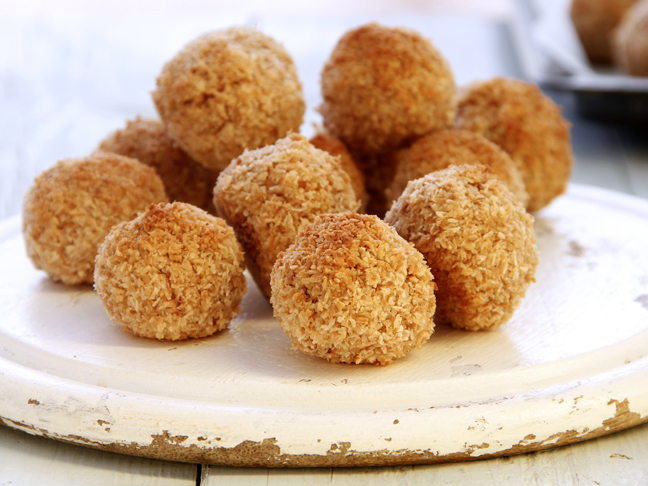 There are so many ways to make it your own. Gather 5 feathers. You may need to cut the tips of the feathers to have them all similar sizes. 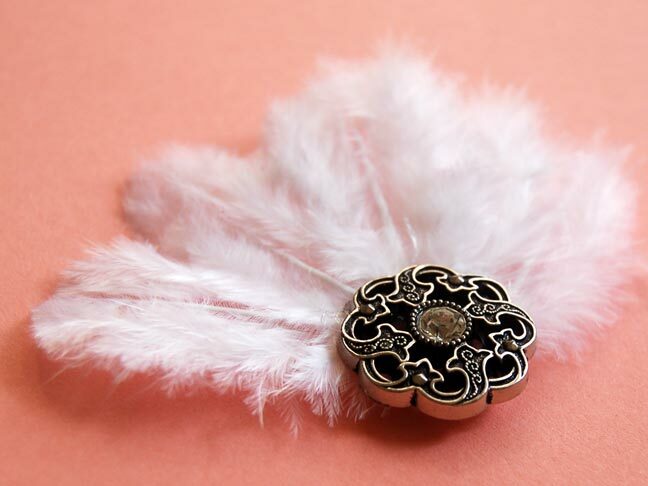 Using hot glue, attach each feather to the back of the button. Cut a circular piece of felt to cover the feather stems. Hot glue the circle felt in place. Cut a small rectangular piece of felt. 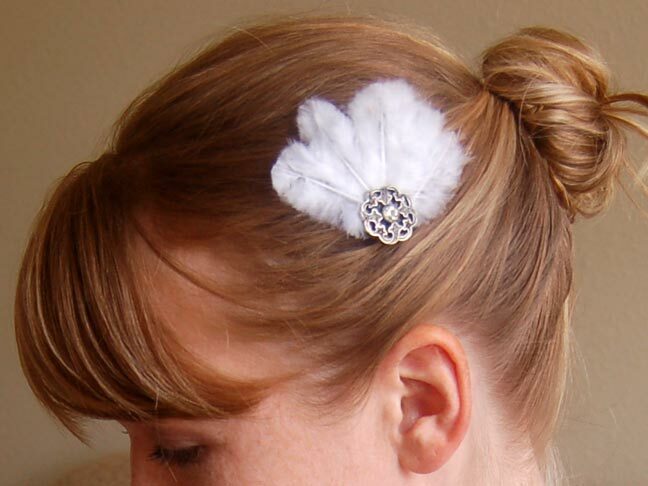 Slip the felt through the closed end of the bobby pin. Hot glue the felt down to hold the bobby pin on. Imagine all the styles and colors you can create. Oh… wouldn’t it look lovely with peacock feathers?